Did you know that for 50% of overseas travellers, “sampling authentic food” is in their top three priorities, as is “trying something unfamiliar” for 48% of travellers. These stats highlight a growing desire for gastronomic exploration, and provide a unique opportunity for destinations to draw visitors. In July 2017, VisitBritain launched a food tourism initiative aimed at capitalising on the growing international trend for food-based travel. Their combined research with partner DEFRA identified that when people select a holiday destination, “65% of people select their travel destination based on its perceived food quality and an even more impressive 88% responded that it was important for them to try the local food & drink when travelling.” The research went on to say that the UK faces a more complex challenge than most, in that as a country we have not historically been renowned for our cuisine, making it harder to compete with other international destinations, but that this tide is slowly changing with a boom in local produce, micro-producers, culinary innovation and creativity. And of course we have the unique opportunity to capitalise on a hungry (excuse the pun) and growing market, without being pigeon-holed into one specific type of cuisine. Lucky us! 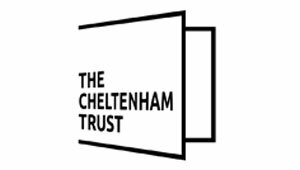 This trend is something that Marketing Cheltenham is seeking to capitalise on under the Visit Cheltenham brand, building on our exceptionally high number of independent and critically-acclaimed restaurants and eateries. We’ve started with a ‘flavour tour’ video, which takes viewers on a virtual, gastronomic tour of just a few of Cheltenham’s highlights (see below), led by local food fanatic Pamela Chen. The video reached 10,000 people organically in its first two weeks (87% of whom are new audiences for the channel), was watched for 1,729 minutes and received more than 1,000 engagements. Not only that, but having launched a brand new blog at the beginning of March, we are slowly but surely building our library of food & drink experience blogs, chef and owner interviews and running a monthly ‘food round-up’ blog featuring restaurant openings, events, offers, dining experiences, gastronomic events and the like. As a business offering Food & Drink experiences, the best thing to do is to join as a member so that you are included in all our work and promotions.